About Myself: I was born at the very end of the year 2000, In Haifa. 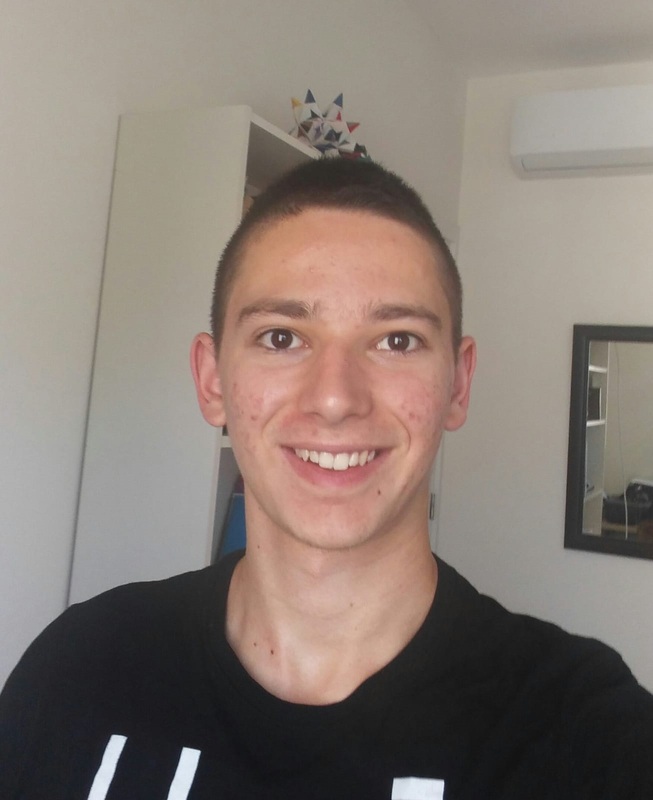 I graduated “Irony Hey” high school in Haifa at 2018 and I am starting my undergraduate studies at the Technion in winter 2018. I have always been a curios person, and the will to understand the world better than my current point of view can be seen through my lifestyle and aspirations. Therefore, after I have been exposed to several areas of interest, I decided to continue exploring the world by the most powerful tools I can think of- science and mathematics. In general, I love studying. I loved almost every subject that I have been exposed to in school and beyond- scientific subjects, as well as humanitarian subjects, and I try to keep my areas of interest as large as I can. Hobbies and Activities: In my free time I like to play the piano, and the music I hear is often related to piano, especially music that I can play. I like to exercise and to read, especially well-known classical literature, and of course- I like to hang out with my friends.